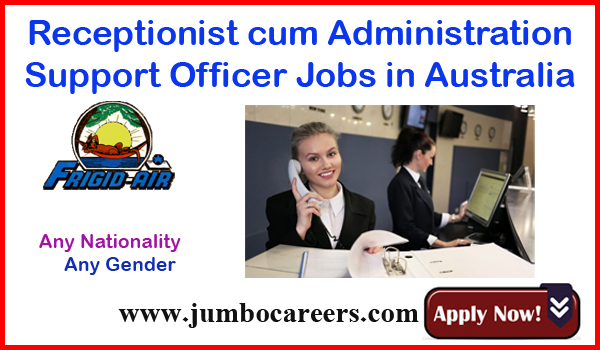 Frigid Air Pty Limited is currently seeking a full time Receptionist / Administrative Support Officer to join its workforce. About the Company : Frigid-Air Pty Limited is a privately-owned air conditioning and refrigeration service and installation business that was established in November 1991 in Lismore, Northern New South Wales. From small beginnings, the company has grown to more than 20 employees. Over that time, we have developed a large customer base for whom we provide innovative solutions spanning all areas covered by our trade.